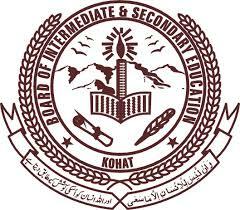 Kohat, Board of Intermediate and Secondary Education Kohat conducted the intermediate class supply exams 2017 and the candidates appeared in the 12th class supply exams 2017. Now the exams department of Kohat Board announced the BISE Kohat FA/FSc part 2 supply exams 2017 result, which is also provided online for the information and facility of the candidates. the aspirants are advised to visit this page to get the latest updates regarding their BISE Kohat HSSC class result 2017 with the latest updates and it is also provided on the website of Kohat Board.